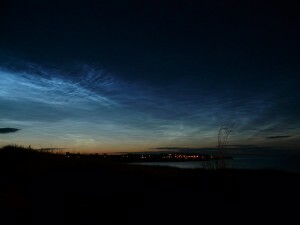 Spaceweather.com, and other observers, predicted that Noctilucent Clouds may be visible in early July 2014. From Ardgay the evening sky “just looked right/promising”. 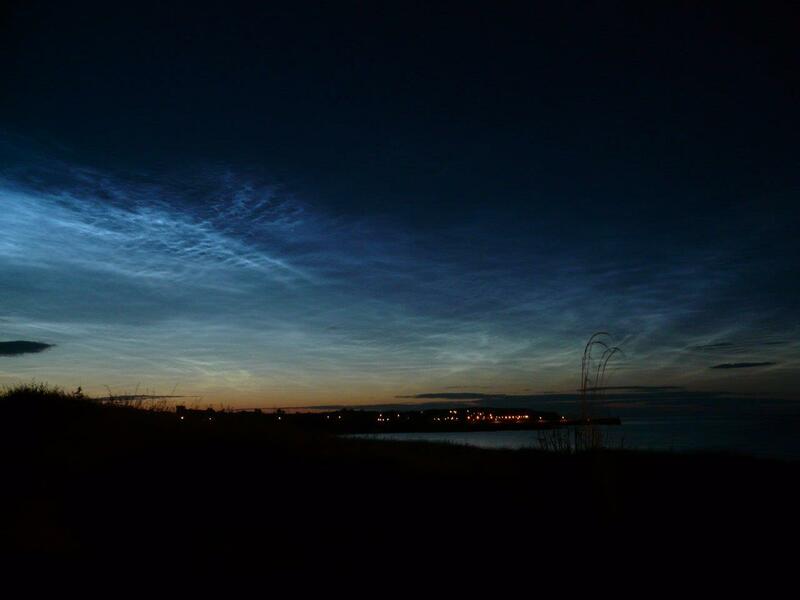 In the night of 7th July both Phil in Ardgay and Pat in Balintore were, for an unknown reason, looking at the northern sky and saw noctilucent clouds at about 01:30 +/-. The view was basically to the north, in Ardgay slightly eastward. 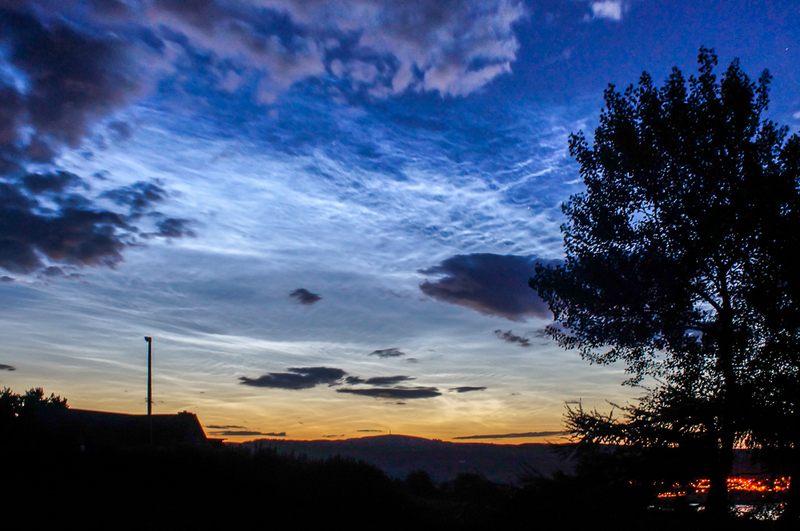 NLCs are Earth’s highest clouds. Seeded by “meteor smoke,” they form at the edge of space 83 km above Earth’s surface. When sunlight hits the tiny ice crystals that make up these clouds, they glow electric blue. In the northern hemisphere, July is the best month to see them. NLCs appear during summer because that is when water molecules are wafted up from the lower atmosphere to mix with the meteor smoke. That is also, ironically, when the upper atmosphere is coldest, allowing the ice crystals of NLCs to form. The natural habitat of noctilucent clouds is the Arctic Circle. In recent years, however, they have spread to lower latitudes with sightings as far south as Utah and Colorado. This will likely happen in 2014 as well. Observing tips: Look west 30 to 60 minutes after sunset when the Sun has dipped 6o to 16o below the horizon. If you see blue-white tendrils zig-zagging across the sky, you may have spotted a noctilucent cloud. It seems our ’sunset / sunrise’ lasts all night as far as seeing phenomena like noctilucent clouds. It just remains for you be awake, there to be few obscuring clouds, and tiny ice crystals at just the right position between you and the sun. This entry was posted on Wednesday, July 9th, 2014 at 20:33	and is filed under Meteorological, Who Has Seen What. You can follow any responses to this entry through the RSS 2.0 feed. Both comments and pings are currently closed.